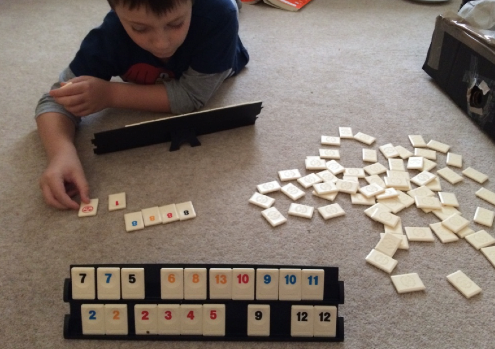 Have you played Rummikub before? Well I hadn’t and I don’t know why as it’s a great game. Highly addictive, easy to pick up and play, a great game for all the family. 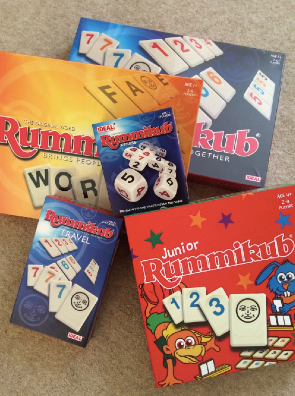 To help promote the UK Rummikub Championship Heats which are taking place online at the moment,we were sent a big box full of lots of different Rummikub Versions, and we set about learning how to Rummikub! Rummikub is a game which has been around for over 50 years. It’s a tile based game. 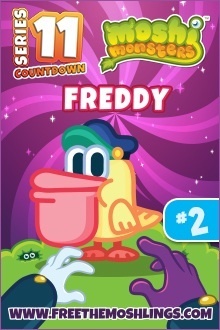 The aim of the game to use all of your tiles by placing down sets and runs of numbers. You can do this either by using your own tiles, or by manipulating the tiles already placed. I’m going to be honest and say that initially I was apprehensive about wether we could all learn to play as it looked quite daunting. 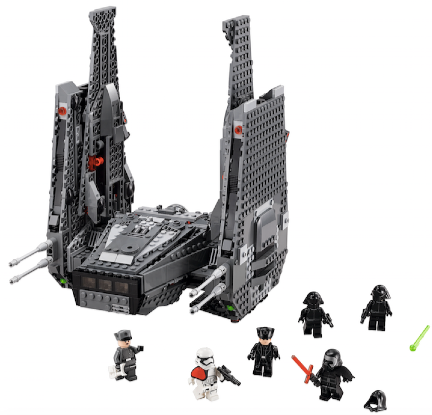 I couldn’t quite grasp what to do from the instructions, and as such was having trouble explaining the rules to the boys. So we ended up watching a few videos on Youtube and that really helped us. It’s so easy when you start playing, you just have to get it first. We decided to try out classic Rummikub first. To play your tiles you need to have a run of 3 or 4 tiles, a run being either consecutive numbers in the same colour e.g. 1,2,3,4 or the same number in different colours e.g. 4,4,4,4 in black, blue, red and orange. It’s a brilliant game for getting you and your youngsters brains whirring. It’s a brilliant brain teaser, and great for honing maths skills as you have to make sure your first move adds up to over 30, and from then onwards you add up your score every turn. After that we had a game of travel Rummikub, which is exactly the same game just a handy miniature version perfect for holidays and train journeys. In the picture the tiles don’t actually look that much smaller than the classic version, but they are. They’re Dinky. 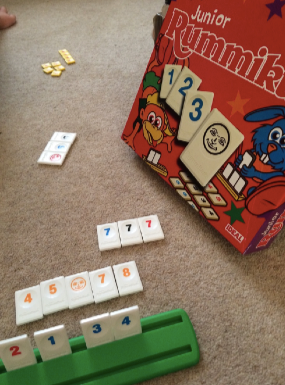 Next up was Junior Rummikub. We probably should have done this one first to ease our way into Rummikub, but we didn’t notice it until afterwards. As you’d expect it’s a simplified version of the main game. However it’s not simplified enough as to be boring or too easy. It’s a great introduction to the game for younger players and again a great tool for learning maths skills and mental arithmetic. 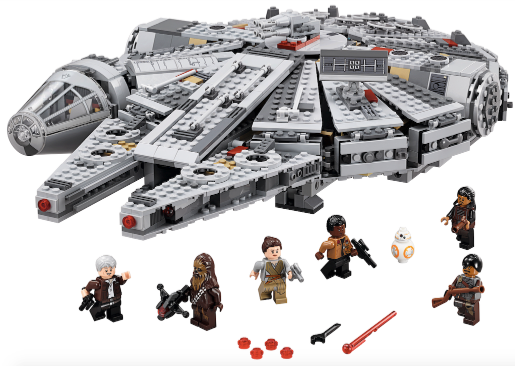 The main differences are that you get little stars when you place tiles down, and that the tiles go from 1-10 instead of 1-13. After we’d got to grips with the classic Rummikub the junior version was a bit of a step down and we weren’t as keen on it. However I think we’d have enjoyed it much more if we’d played it first, and it’s a better version for younger players. The next version we picked up was Rummikub Express, which is a quick to play dice version of the game. 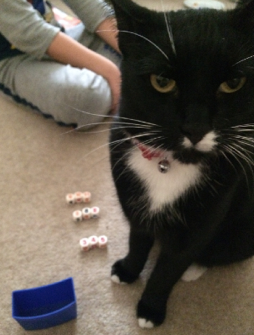 As you can see our cat Harry was very interested in all the dice shaking and had to be part of the action. Rummikub Express really is fast and furious. The game only lasts 6 dice throws for both of you, and possibly less if you can’t find any number matches or manage to place all your dice down. At the end of your 6 throws whoever scored the most wins. It’s very clever, and a really fun variation of the classic game. I would probably take both Rummikub Travel and Express if I was going on holiday or a day trip as they are both small and portable and highly enjoyable. 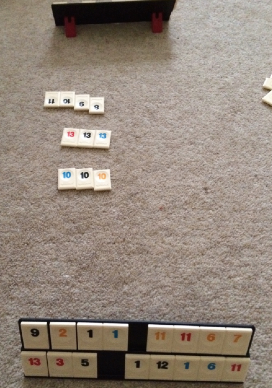 Lastly we played a few games of Rummikub Word. 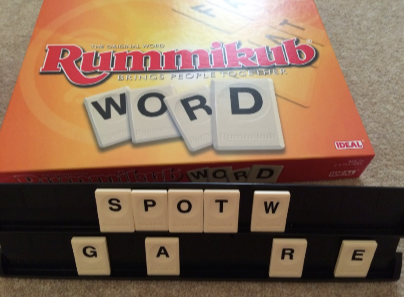 Which is the same idea as classic Rummikub, however using word tiles rather than numbers. This was the hardest to play of the different variants for us, as my boys are very good with numbers but can sometimes struggle with spelling. For me it was a bit frustrating as I was trying to play properly but Thomas ended up just putting an S or Ing on the end of all my words. Not to say that’s not allowed, manipulation of the tiles is part of the game, however it did get a bit annoying. I will carry on playing with him though as I know it will do his spelling good to play around with the tiles and give different words a go, however I think I would enjoy this one a lot more playing with someone older. If you fancy the sound of Rummikub or are already a fan then why not have a go at the online UK Rummikub heats – but hurry as you only have until the 29th of August. Signing up is easy – simply join the Rummikub Online Championships and register by visiting www.Rummikub.com, going on the Facebook page, Google Play or downloading the app. The highest scoring eight UK finalists from the Online Championships will be invited to take part in the Rummikub UK Final taking place in September in central London. The highest scoring player will then go on to represent the UK at the World Championships in Berlin, alongside their fellow Rummikub Champions from around the world. As part of their prize, the UK Champ will win a round trip to Berlin including a luxury three nights stay at The Ritz hotel! 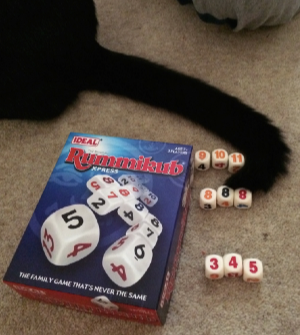 Disclosure: We were sent the bundle of Rummikub games to review as part of our participation in the John Adams games group. All opinions however are our own. Heads up International Rescue members! 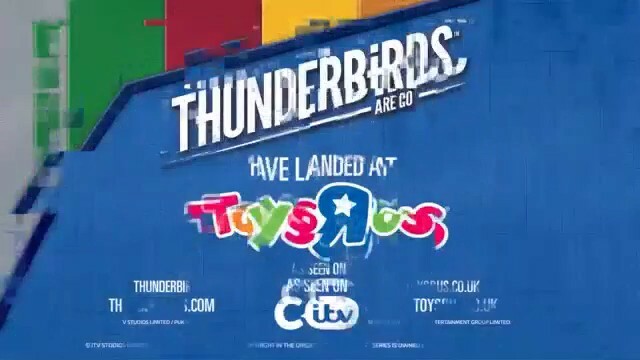 Check out this brilliant promo video for the new range of Thunderbirds are Go Toys by Vivid being available at Toys R Us. As keen participants in the Thunderbirds are Go blogger missions, we were given an exclusive early access to the video, and obviously had to pass it onto you all as it’s so awesome. Jacob laughed and laughed. He thought the idea of Thunderbird 2 actually delivering the toys to the store was hilarious. We loved the ITV show, and can’t wait to get our hands on our own Tracy Island, Thunderbird 1 and all of International Rescue. Think Thunderbirds are going to be top of a lot of christmas lists this year! 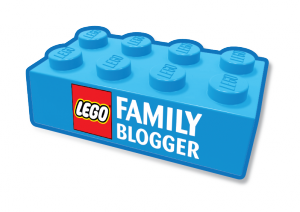 To celebrate Vivid sponsoring the Kids Tech Toy Trail at Gadget Show Live, which takes place 8th – 12th April 2015 we’ve got 3 family tickets to give away for Wednesday 8th April! (Each family ticket is for 4 people). 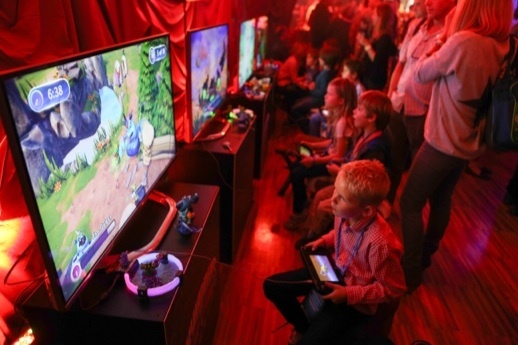 One of Gadget Show Live 2014’s most popular features was the Kid’s Tech Arena, which will be returning this year in the form of a Kid’s Tech Toy Trail. The Kid’s Tech Trail is to be sponsored exclusively by Vivid and will feature separate pods, each with different toys from the Vivid range for children of all ages to get hands on with. The pods will create an immersive experience and are guaranteed to keep kids engaged and involved at the show – as well as giving them a chance to try out some toys not yet on the shelves! The four pods making up the Trail will feature a RealFX demo area, i-Que, Freddy Bear and Crayola Colour Alive with demonstrators and Vivid brand teams on site daily to enable kids to get hands on with the products. February 13th sees the new and improved Nintendo 3DS go on sale in Europe, but amazingly Nintendo sent us one to review early so we could let you know all about their new handheld console. We’ve been testing out the new Nintendo 3DS for about 2 weeks now, and have had a good go at all the new features. We’ve been playing around with the smaller original sized new 3DS, but there is also an update of the XL version. Some of the improvements on the new version include new shoulder buttons, new circle pad joystick,retro coloured buttons which look awesome, an improved processor, and vastly improved 3D. The improved 3D has been the biggest jump forward for me with the new device. It works so much better, and I’ve actually been using the 3D all the time whereas before it would be more on and off. The 3D works better thanks to the new second camera which handles face-tracking. This means that you don’t have the problem anymore of moving slightly and losing the 3D image and having to find that sweet spot again. It’s made such a difference to my 3DS experience and I love it. 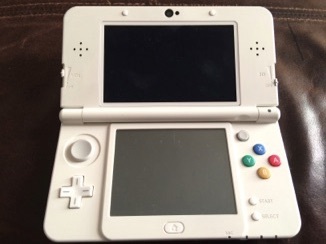 The boys have never really been big fans of the 3D on the 3DS, that’s why they got on so well with the simpler 2DS. 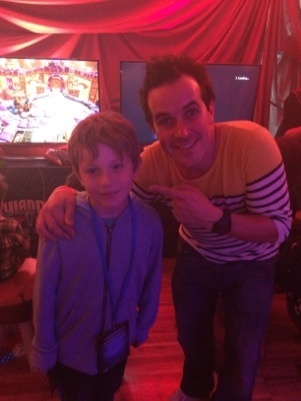 However they have both been interested to try it out again on the new version and have been enjoying it a lot more. It’s still not something I would let them play all the time, as I do worry about little ones developing eyes using it too much, but things like taking pictures in 3D and Face Raiders have been vastly improved for them by the new face tracking tech. To be honest it’s the 3D pictures we’ve been using the most. Jacob just loves using his 3DS camera, and now taking 3D pictures is his big thing. They look amazing. A brand new feature you won’t be able to see is the NFC technology, which makes it possible to use your lovely new Ammibo characters with your new 3DS. You just place the character base on the bottom screen, and just like that your Ammibo’s details come up on-screen. The first game to use the Ammibo’s will be Super Smash Bros 3DS once it gets the update tomorrow, and I can’t wait. You will be able to use Ammibo’s with the old 3DS if you get a peripheral reader when they come out, but it won’t be as clean and user-friendly as simply putting your figure on the screen. Another thing we love is the changeable face plates for the front and back of the screen. 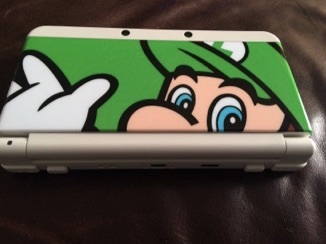 We were sent some Luigi plates as you can see, and they make your 3DS seem really fresh and original. Plus it’s a great way to add a bit of your personality to your new console. 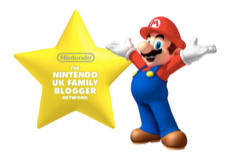 For mums and Dads I think the appeal will be having different face plates for different kids 3DS’s so you can tell them apart. My boys have almost always had 3DS’s with no cases around them, as they found them too bulky to play with when they were younger with smaller hands. So these would be ideal. I wonder if they do a Pokemon themed one for Thomas? The removable front and back plates are only available for the smaller new 3DS and not the XL which is a good and bad thing I suppose. It’s nice actually that it makes you feel better about having the smaller screen. One small thing that still bugs me is that you don’t get a charger with the console. I know that most people will have one anyway from their previous 2DS/3DS, and if not they are easy and cheap to buy, but it still bugs me. In conclusion the new 3DS might initially seem like not much has changed and an only upgrade when your original breaks kind of situation. But once you start actually using it you realise that all the little things that have changed add up to a great new console experience that if you love Nintendo and your 3DS you just have to get in on. You may remember last year I became a ‘Cuber in Training’ and was challenged by Rubik’s to complete the cube in the fastest time possible. Everything went quite well, and I think i finished with a pretty respectable time. Well since my time in training, I’ll admit that I haven’t really kept up my new skill, and now seem to be back to square one again. 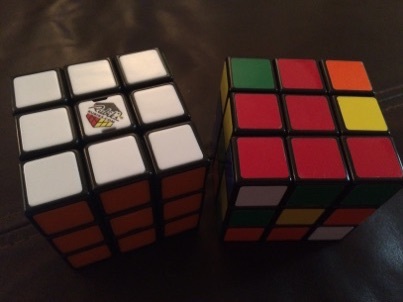 So when Rubik’s got back in touch with another ‘Cuber in training’ challenge, I thought it’d be a good idea to get back into it. Plus this time around I have a secret weapon to help me finish my cube even quicker, The Speed Cube! The Speed Cube is the Rubik’s cube that professional cubers use to attain their amazingly fast completion times, and it’s also the cube that will be used weekend at the Rubik’s UK Championships this weekend. The event takes place on 1st – 2nd November 2014 at The O2 Academy, Leicester, and current UK Champion Thom Barlow will be defending his cubing title. The 2013 Rubik’s Cube Champion from Manchester last year completed the iconic 3×3 cube in a mind blowing 10.64 seconds average. Thom has a battle on his hands though, as current UK record holder and new European Champion, 16 year old Alexander Lau will be competing and ready to take on the challenge, as well as previous champ Breandan Vallance. 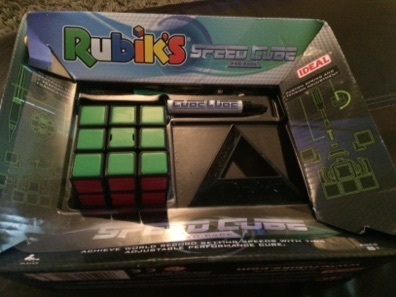 The Speed Cube pack comes with the cube, some extra springs, some cube lubricant, and instructions on how to disassemble your cube to change the springs and lube it up for maximum speed and precision. As a novice cuber, for me the speed cube has its advantages and disadvantages. It’s definitely quicker to move the blocks around, and every block moves smoothly around with no sticking. I sometimes find that I get stuck mid move with the original cube, as it’s stiffer. So I can see how much of an advantage the Speed Cube would be for getting the fastest times possible. However that also comes with the disadvantage that it can sometimes be too easy to move the blocks, and i end up moving too many at the same time. At the moment I wouldn’t say the Speed Cube has made me complete the puzzle any quicker as I’m just getting used to it again. However I think with some practice I would see an improvement over my original fastest time with this new cube. I’m going to keep going over this week and see how I do. The 2014 UK Rubik’s Cube Championships is taking place on 1st – 2nd November 2014 at The 02 Academy, Leicester. For additional details about the event, visit www.worldcubeassociation.org. 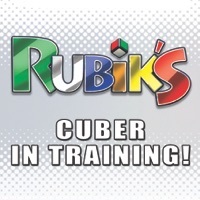 For more information about the Rubik’s Cube, including fun facts, visit www.Rubiks.com or visit the official Rubik’s Facebook page. VTech are challenging children from 4-8 to write a short story of 500 words or less about absolutely anything. The winning story will be published as an InnoTab E-Book. The competition is open for entry from Monday 6th October 2014, and closes on Wednesday 22nd October 2014. Entrants can enter as many stories as they like. The stories will be judged by Best Selling Children’s author Terry Deary, known for his gruesome ‘Horrible Histories’ series. 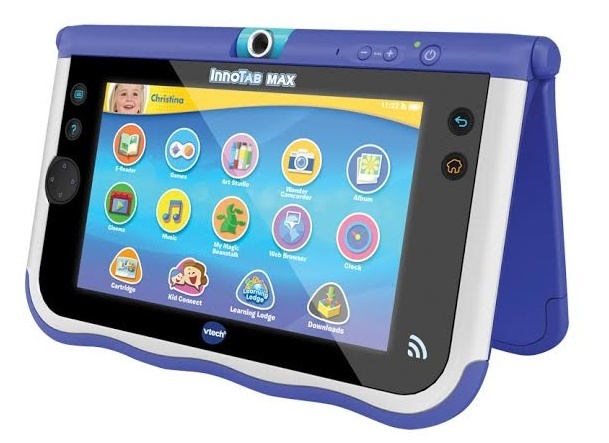 The writer of the winning story will see their story turned into a downloadable InnoTab E-Book, and receive a brand new InnoTab MAX to read it on. Six Runners up will also receive an InnoTab MAX. To be in with your chance of winning, simply send your entries to InnoTabMAX@grayling.com by Wednesday 22nd October 2014. Winners will be announced later in November. 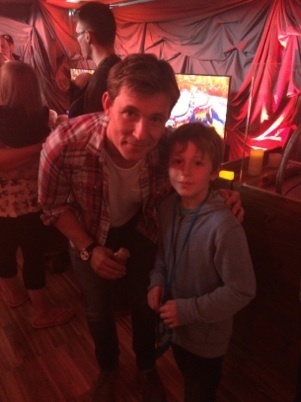 On Sunday we had a brilliant time attending the launch party of the brand new Skylanders game ‘Skylanders Trap Team’ at Royal Festival Hall in London. Officially released today October 10th, we had the chance to test it out a few days early and can report that the boys both agreed that it is an awesome game. In the latest instalment of the Skylanders franchise the new innovation is the trap concept. 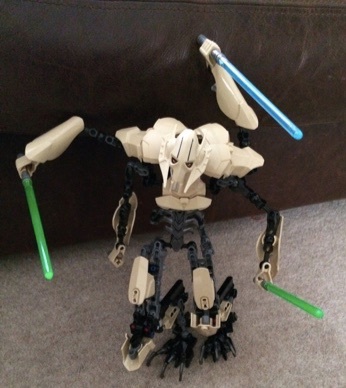 You get the ability to trap enemies into the newly designed portal of power, and then can temporarily play as your captured enemy through the level. 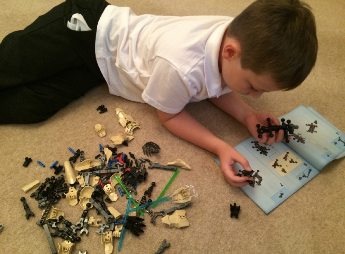 It’s a brilliant idea, and the kids absolutely loved it. It was such an exciting concept, and was exactly what the boys were hoping for. I think they’ve always harboured dreams of dreams of playing as Kaos, so it’s so cool that you finally can. Well if you purchase the special trap team keys that is. You need a trap key for the element of each enemy you wish to play as, The starter pack helpfully comes with 2 for you to start with, and 2 new Skylanders. 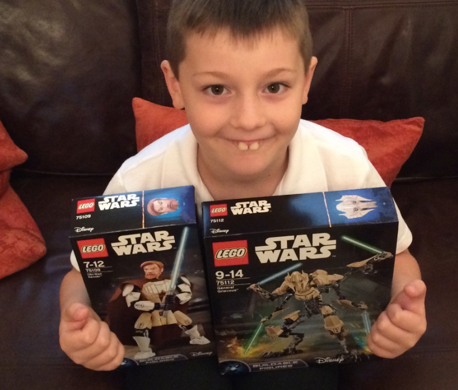 Including Jacob’s favourite new character ‘Food Fight’. Food Fight is a cool new character, which shoots tomatoes out of his gun. 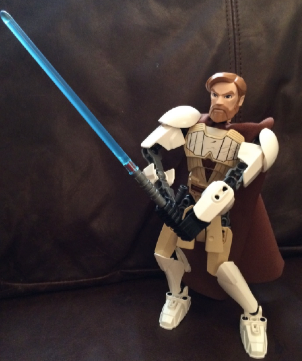 He’s so much fun to play as. Whilst we were having fun playing Trap Team and enjoying all the other activities like the free sweetshop and ice cream bar, Kaos balloon modelling and Kaos caricatures. 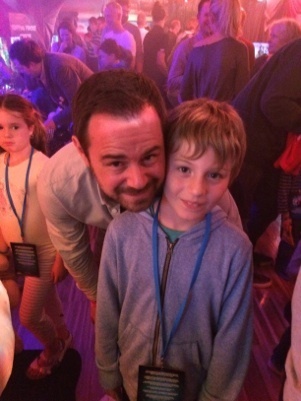 We also bumped into some celebrities having fun with their children, and Thomas had to stop and get a few photos. As well as the new game, Activision have also announced a host of new licensing deals for Skylanders. H&M will be expanding their Skylanders apparel and accessories for the holiday season. An official Trap Team case is being launched to hold 46 Traptanium crystals. Plus great news that The official Skylanders Universe Magazine will launch in the UK on 25th October, and will be produced and distributed monthly by Immediate Media. 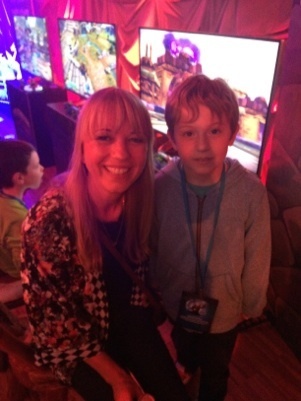 The magazine will give fans the latest news and updates on all things Skylanders. And Penguin will be releasing The Official Skylanders Universe™ Annual, which will be perfect for my boys for christmas. I always get them both an annual, so I know which one I’ll be getting Jacob this year. It was a really great day, and we had a wonderful time. 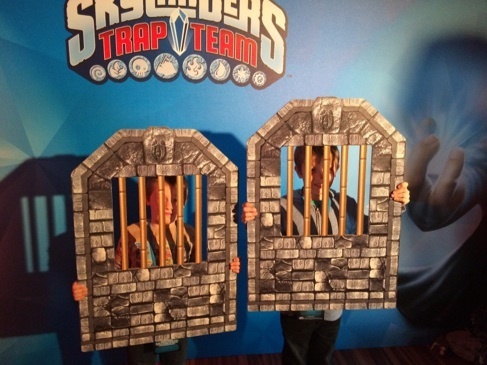 We can’t wait to check out Skylanders Trap Team more in-depth in the very near future. Stay tuned. So here we go it’s the big day. Launch day is finally here, and by the time you’ve read this doubtless some of you will have already rushed down the shops to get some series 11 Moshlings of your very own. Wobbly Dobblies are fangtastically cute but goopendously demanding, especially if they don’t get their way. When they are not asking passers-by to plop glacé gooberries on their wafery horns, they are insisting on having their cushions plumped up and their backs scratched. 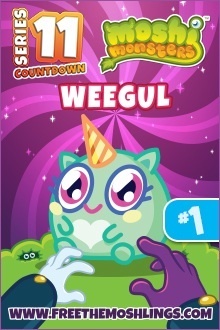 Weegul is a lovely cute little moshling. I love the Heart on her tummy, and her horn ice cream coney horn. So that’s it. The countdowns all done for another Series. We’ve had a great time sharing all the new Moshi’s with you. Seb-Swaddling Guzzlers are meant to deliver the mail, but they can’t fit many letters in their bulging beaks because they are always finding strange little critters called Sebs to take care of. If you spot a Guzzler without a Seb in its beak, look under its cap and you’re sure to find one snuggling underneath. Seb-Swaddling Guzzlers live on the cliffs of the TakiTaki Islands but they often release their Sebs on Clickenham Green.